Situated on the legendary Lodhi road and between Khan Market and Safdarjung’s Tomb, Lodhi Garden is a symbol of the history, culture, and heritage. 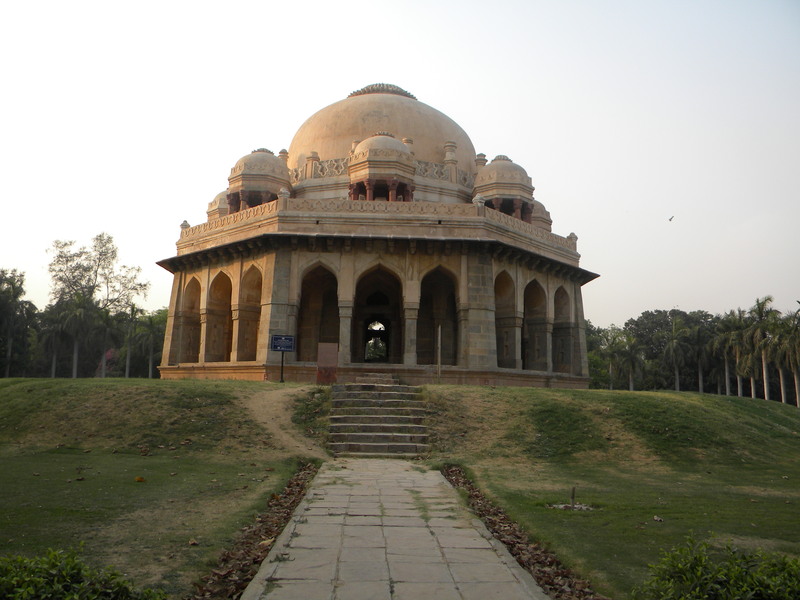 Lodhi Garden is one of the oldest gardens in India. Spread over 90 acres of lush green landscape, it flaunts of much more than just the greenery, space and high profile joggers. The heritage structures like Mohammed Shah’s Tomb, Sikander Lodi’s Tomb, Sheesh Gumbad and Bara Gumbad make every walk in the garden a heritage walk; the oldest of these structures is Mohammed Shah’s Tomb which was built in 1444 by Ala-ud-din Alam Shah as a tribute to Mohammed Shah. The heritage garden has been captured in lens by millions of people till date and has also been the first choice of Bollywood. Since the garden is situated in one of the poshest areas of Delhi and surrounded by the houses of people who decide the fate of this country every day, the regular visitors are amongst the most powerful people of India. It’s a dream place to live and be able to afford that kind of luxury. I dream of having my bungalow around this garden someday….. I might not be fortunate enough to afford a house around Lodhi Garden, but I do have the luxury of having my office right in front of it; and given the amount of time an average person spends in office now a days, it’s even better to go to work in such area than to live there. I often take advantage of this fact and take a heritage stroll in this heritage garden after work; needless to say, it refreshes and rejuvenates my mind instantly. It’s almost rare to hear the true sounds of the nature in metro cities, but Lodhi garden ensures that you don’t miss it for too long. The birds greet you with their chirping sounds and I didn’t miss recording the mesmerizing tweets of these beautiful birds. ~ by pankajsingla9 on May 7, 2010. The sights and sounds of Lodhi Garden brings back romance and nostalgia in today’s fast paced life. I fondly remember going for long walks in winters with my aunt, Meera, and the scintillating vision of the golden afternoon sunrays on the tombs. It was much beyond a heritage walk.